Have you seen that movie "Bad Moms"? You know the one with Mila Kunis and Kristen Bell. While watching that movie, I had a ton of, "Oh me too" moments. If you've seen that movie I'm sure you have too. As single moms we are more stressed, overwhelmed and end our days super exhausted. We try to hold ourselves to a higher standard, especially for moms who have to deal with their children's absent fathers. Unfortunately, feel like failures or berate ourselves for not meeting those expectations. And guess what? I am one of those moms. With all that I have going on right now, I've been feeling more like a failure than ever. After adding cheer, tumbling classes, and two separate baseball team practices, I've been defeated by exhaustion. And no matter how early I get to bed, what I try to shave off my never-ending to-do list, I've still left feeling burnout. I honestly don't know why I am so hard on myself when I know I'm doing a job that requires two parents. So I conjured up this list of ways I've felt I have failed in the past as a mom. There's no doubt in my mind that you will be able to relate to one or more than a few of these. All things considered with time I've been able to turn these failures into lessons. Yes, some nights I still feel too exhausted to do anything. Hell, some nights I am too exhausted to put them to bed. But some nights to push through the fog because I know those things like story time and having a happy mom means my children are happy. Living with depression and being a single mother has been the hardest journey by far, and some days I still feel like I'm failing. But little by little I'm learning to stop striving for perfection. Because if I'm being honest, perfection and parenting don't go hand-in-hand. If you are a single mom who is also struggling with burn out and depression I'm sure you can relate. I had to learn how to stop punishing myself for these "imperfections" and you can too. trust me, good is good enough. That feeling of failure that we feel as mothers can be both good and bad. It is healthy to want to provide the best life for your child. Healthy feelings of guilt drive you to live according to your genuine values. Unhealthy guilt can be a psychological burden that conflicts with your emotions and quality of life. Leave a comment below and let me know if any of these "failures" resonated with you. Feel free to leave some of your own! I'm Daisha Renee; single mama, foodie, and lover of yoga. 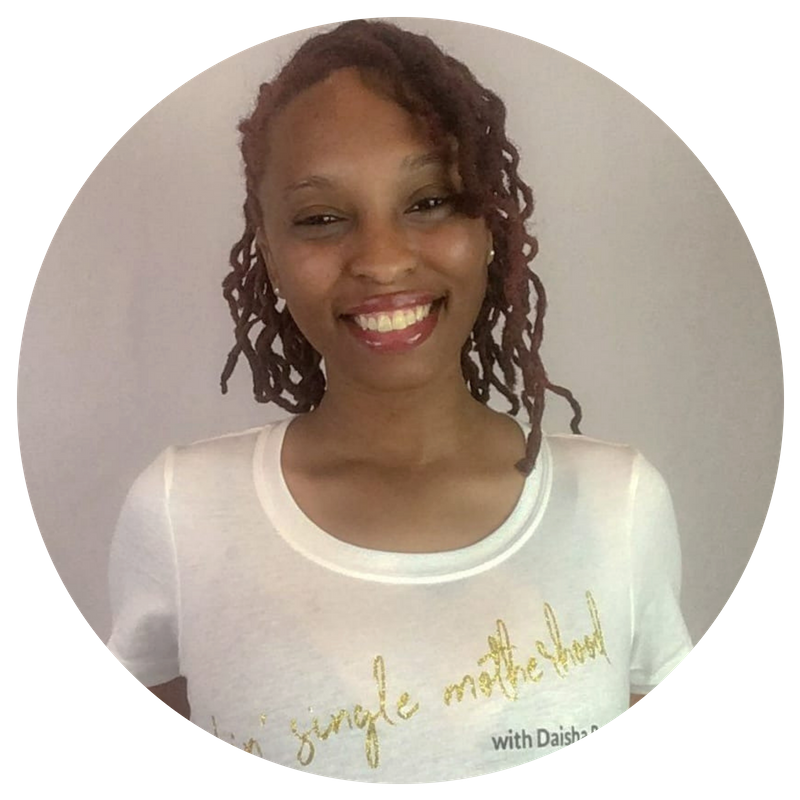 Here on the blog, I love providing powerful solutions for overwhelmed single moms who struggle with balancing all the components of single motherhood. If social media is your thing, I would love for you to hang out with me in my Facebook Group. I can't wait to meet you!